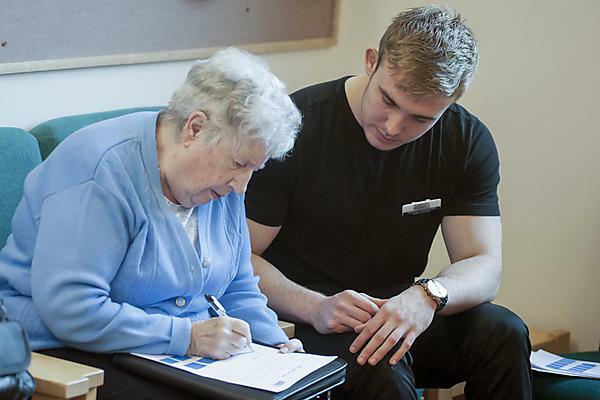 A large research study from the Universities of Plymouth and Exeter has revealed that older people are not being referred for mental health support nearly as frequently as their younger counterparts despite achieving better outcomes when they are referred. The study is published today (Tuesday 6 June 2017) in the British Journal of General Practice. The research was conducted as part of the South West of England Improving Access to Psychological Therapies (IAPT) Evaluation Project commissioned by the then South West Strategic Health Authority with additional contributions from the National Institute for Health Research’s Collaboration for Leadership in Applied Health Research and Care South West Peninsula (NIHR PenCLAHRC). The researchers analysed over 80,000 mental health treatments in South West England as part of the IAPT initiative. The analysis revealed that the percentage of people referred to mental health therapies for common conditions such as anxiety and depression reduced with age, from the highest for ages 20-24 to the lowest for the 70 to 74-years-old bracket. This despite the facts that low mood and anxiety are more common in mid to old age and that older people may be more likely to benefit from ‘talk therapies’ than younger age groups, with more than three-quarters of people around the age of 64 experiencing significant clinical improvements in their symptoms as a result of such therapies. The authors of the study suggest that there are a number of multiple factors which may lie at the heart of the under-referral of older people to mental health care. Older people may see a stigma in requesting mental health help or may prefer to try to deal with the problem themselves. They may also have multiple health conditions which could lead to a reduced recognition of mental health issues, and they are more likely to be proscribed medication for common mental health problems. However, being frail or housebound can prevent access to mental health care which is often designed for those who are fully mobile, and does not take account of a reluctance of older people to take on the label of a mental health diagnosis. The authors also cite the “attitudes of professionals” as an additional barrier to older people receiving mental health therapies.